​This is the final installment in The Posse Project, a 12-day series in which www.PHXmusic.com caught up with all 12 guys pictured on the cover of N.W.A's first album, N.W.A. and the Posse. Today's post is on Eric "Eazy E" Wright, who passed away 15 years ago today. ​Also Known As: Eric Wright, Little Rat, The Greatest Gangster. Before the Photo: Nearly everyone in the Posse photo was either involved in the Compton club music scene with (a DJ crew, a rap group or an electro-funk outfit) or just a hanger-on. Eazy-E was the exception. A drug dealer, a high school dropout, and a member of the Kelly Park Compton Crips, Eric Wright aspired to get involved in the music business by starting his own record label with the help of Jerry Heller, a down-on-his luck former manager to stars like Elton John and Marvin Gaye. As this photo was taken, the pair's business had just started to build up enough steam to engineer a major coup: N.W.A's jump from Macola Records to the upstart Priority Records where the group would record their true debut album, Straight Outta Compton. In the Photo: No one we talked to for The Posse Project could identify everyone else on the Posse cover by real name or by anything beyond a 20-year-old street name. Eazy likely would have been the one exception, since he was well-acquainted with even the hardest guys to track down: the mysterious Mexican Krazy D, the DJ Scratch who isn't EPMD's DJ Scratch and "Ren's Homie" MC Chip. 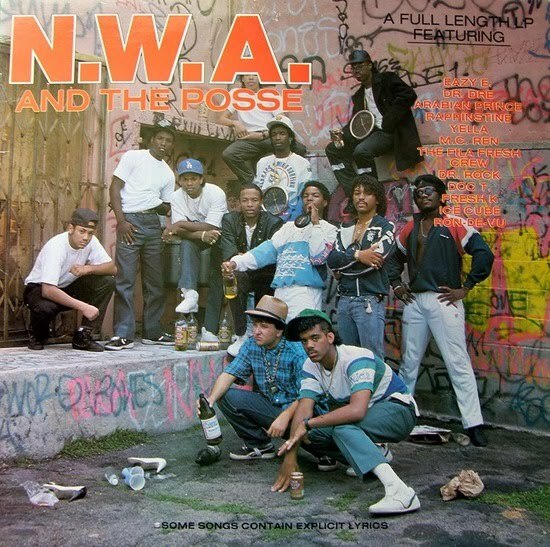 After the Photo: Eazy E was at the center of the development of N.W.A and gangsta rap. Though he originally did not intend to be a rapper himself, his fluke success rapping "Boyz-n-the-Hood" (when another group on his label refused) made him officially join N.W.A for Compton. As Jerry Heller tells me: "Eric used to say it best. He would say he was the conceptualizer, Dre was the musicalizer, Cube was the verbalizer, and Jerry was the finanicalizer." That system worked for a while -- long enough to change popular music forever, anyway. Things went well for N.W.A until financial disputes drove Ice Cube, then later Dr. Dre, away from the group. Following the dissolution of N.W.A, Eazy continued on a solo career and signed new acts to Ruthless Record. Ruthless' most successful post-N.W.A group was Cleveland's Bone Thugs-n-Harmony, which later eulogized Eazy with their #1 hit "Tha Crossroads." Anthony "Krayzie Bone" Henderson tells me his group called Ruthless Records 100 times before a receptionist finally persuaded Eazy to call them back. Eazy's rapping style was famously slow, which is probably part of the reason why the rapid-fire Bone Thugs crew blew him away when he finally heard it. "One day he called us back, and I answered the phone and he was like, 'Can I speak to Bone?' and I was like, 'That's us!' and he was like, 'Yeah, I'm just returning your call cuz I heard ya'll were calling up here saying you can rap, so let me hear something,' so I got to rapping to him on the phone and he was like 'Man!' he was blown away. He said that it was crazy, he was putting other people on the phone saying, 'Listen to them rap!" From there, it was on. Bone rose to success while Eazy finally played the behind-the-scenes role he'd originally planned to take in the music business. Just after Bone's single "Foe Tha Love of $," which featured Eazy, was released, Eazy fell ill. Then, just like that, he was gone. He didn't live long enough to see Bone hit it big with "1st of the Month," a song so influential it was skewered in possibly the most infamous comedy bit of all time. To put things in perspective: The 11 days between when Eazy was admitted to the hospital for health problems he thought were tied to asthma and when he died was one day shorter than The Posse Project has lasted. I may not seem like a guy you would pick to preach a sermon. But I feel it is now time to testify because I do have folks who care about me hearing all kinds of stuff about what's up. Yeah, I was a brother on the streets of Compton doing a lot of things most people look down on -- but it did pay off. Then we started rapping about real stuff that shook up the LAPD and the FBI. But we got our message across big time, and everyone in America started paying attention to the boys in the 'hood.' Soon our anger and hope got everyone riled up. There were great rewards for me personally, like fancy cars, gorgeous women and good living. Like real non-stop excitement. I'm not religious, but wrong or right, that's me. I'm not saying this because I'm looking for a soft cushion wherever I'm heading, I just feel that I've got thousands and thousands of young fans that have to learn about what's real when it comes to AIDS. Like the others before me, I would like to turn my own problem into something good that will reach out to all my homeboys and their kin. Because I want to save their asses before it's too late. I'm not looking to blame anyone except myself. I have learned in the last week that this thing is real, and it doesn't discriminate. It affects everyone. My girl Tomika and I have been together for four years and we recently got married. She's good, she's kind and a wonderful mother. We have a little boy who's a year old. Before Tomika, I had other women. I have seven children by six different mothers. Maybe success was too good to me. I love all my kids and always took care of them. Now I'm in the biggest fight of my life, and it ain't easy. But I want to say much love to those who have been down to me. And thanks for your support. Just remember: It's YOUR real time and YOUR real life. Eazy-E was the Greatest Gangsta. Though he's certainly not ignored by the media, there are a lot of people who believe Eazy has never gotten his due -- myself included. 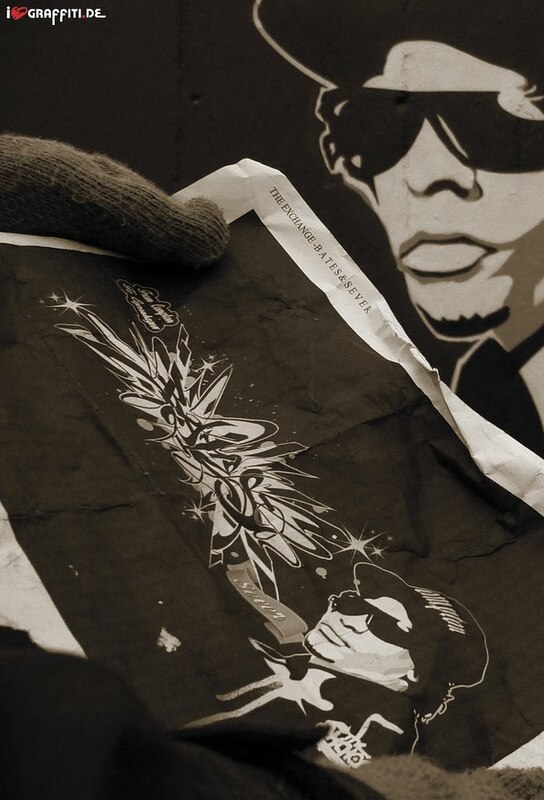 The guys at Eazy-ECPT.com, a tribute site that's been running since 2005, do their best to change that by paying tribute to him. "Eazy-E is a big deal and it bothers me that he doesn't get the props he deserves," says the site's head honcho, Sergio. "It's obvious that because he died due to complications of AIDS that his death is not celebrated like those who got shot. That's the only reason why I can imagine he does not get the attention he deserves." It's the people who knew Eazy the best who miss him the most. There are all sorts of crazy conspiracy theories out there about Jerry Heller, but no one who has ever talked to Jerry about Eazy can question the man's love for his lost business partner and friend. Talking on the phone from his home near the California coast, the former N.W.A manager gets emotional talking about Eric. "He was the best. He was like my flesh and blood son," Heller tells me. "I was proud of him. He was a good guy. We always got along. I don't think we ever had a disagreement about anything meaningful. We may have had a disagreement about him showing up two days late to a meeting, but we never had a disagreement about anything meaningful." MC Ren, the N.W.A member who grew up around the corner from Eazy, says his mind often turns to memories of his friend: hanging at the swapmeet, listening to music in the garage, cruising around Compton. Eazy wasn't the glock-toting thug people think, Ren says. He was just a cool dude. "A real cool dude." "Eazy be in my dreams sometimes. It's like he's still alive, the dream be so real," Ren said. I don't normally publicly thank people who provide information for my stories, but this project really depended on the passion, knowledge, and kindness of several people who not only gave me information, but harassed their homies into calling to me. Big thanks to Paulie Classic, Sergio from Eazy-ECPT.com, and Arcyn Al.